Home>Music> Nipsey Hussle's Killing Inspires Gang Summit In LA: "Black Power To Bring Unity"
Bloods and Crips in LA are using Nipsey's unfortunate death as a teachable, unifying moment. The incredibly-endearing Zola Aziah put it so eloquently a few days ago, "Nipsey? The streets is dead. The code all off. The matrix is glitching. Everything is broken," she proclaimed. "Y’all den fucked up. Again. We'll never be forgiven for this one. RIP." Figures of speech like this illustrate to what end Nipsey symbolized a code of honor in the streets, and to a lesser extent: the socio-economic reasons behind Gang culture in South Los Angeles. The above Instagram post highlights a "unity meeting" that was held by LA-area Crips and Bloods in the wake of Nipsey's death, Marquis Diamond, the LA promoter who documented the affair, credited Nipsey with taking the bold first steps in putting the City of Angels on a positive path. This SPEAKS VOLUMES!!! @NipseyHussle Look what you started 60’s," wrote Marquis in the post documenting the entreaty. "HOOVAS, ETG’s, FTG, VNG, BOUNTY HUNTERS, MONA PARKS, BRIMS, PIRUS, BLOODS, CRIPS, GANGSTAS, NH’s, DEUCES. Just some of these hoods in the same building is POWERFUL! Trying to use Their BLACK POWER TO BRING UNITY TO THE CITY!" On the day of his killing, it was reported that Nipsey Hussle was only hours away from assisting the LAPD in coming up with strategies to curb gang violence in the area, a decision that spoke to his desire to build from within. 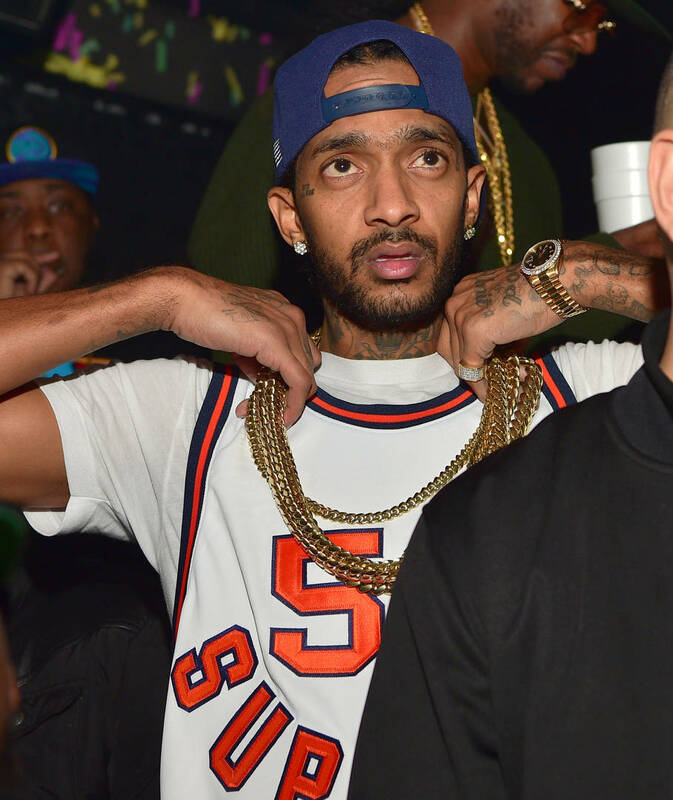 Nipsey was 33 years old the time of his passing. MUSIC Nipsey Hussle's Killing Inspires Gang Summit In LA: "Black Power To Bring Unity"